One thought belongs here: revelation and the pious recognition of divine truth. What does community with another person mean? Above all, it demands genuine mutual exchange, respect for his person, trust, loyalty, that simultaneous unity and reverence known as friendship or comradeship or love. Such an alliance surpasses the merely physical or merely spiritual. Because it rests on the will, it is capable of surviving the adversities to which all living things are exposed. But community has yet another element: the sharing of one another’s power, radiance, vital depths; the ability to experience with the immediacy of sympathy and love the life of the other. These elements of community are essential and irreplaceable, but alone they still do not suffice. The relationship founded on them alone would have a blind spot. Between myself and the other there must be also truth. His essence must be conveyed to me. I must appreciate his uniqueness, his attitude toward life, his work and destiny. I must consent to his being as he is and make room for him, as he is, in my life. And I must know myself confirmed and accepted by him. Then our relations will be complete — not before. This article is adapted from a chapter in Meditations Before Mass. The whole point of the Lord’s memorial is such communion. No more complete communion exists than that which Christ established between Himself and those who believe in Him. Christ is not only “the Life”; He is also “the Truth.” He is the incarnate Logos, God’s Message written in flesh and blood. His self-offering is revelation; to receive Him is to receive Truth. Once again we must consult the “commentary” to the institution of the Eucharist: Jesus’ speech at Capernaum. The crowds have experienced the miracle of the loaves, and they press about Him expectantly. Now, surely, the miraculous bounty of the Messianic kingdom will be poured out! Jesus says to them: “Amen, amen, I say to you, you seek me, not because you have seen signs [that reveal divine truth], but because you have eaten of the loaves and have been filled. Do not labor for the food that perishes, but for that which endures unto life everlasting, which the Son of Man will give you” (John 6:26-27). The people do not understand, so Jesus explains Himself more clearly: “ ‘My Father gives you the true bread from heaven. For the bread of God is that which comes down from heaven and gives life to the world.’ They said therefore to Him, ‘Lord, give us always this bread.’ But Jesus said to them, ‘I am the bread of life. He who comes to me shall not hunger, and he who believes in me shall never thirst’ ” (John 6:32-35). The life He speaks of is His own. The bread by which it is nourished is Himself. But how is that bread to be given and received? “All that the Father gives to me shall come to me, and him who comes to me I will not cast out” (John 6:37). In other words, it will be given through living contact with Him who is the Truth: on the one hand through the radiance of all He is and says and does and suffers; on the other, through our coming to Him and believing and seeing. What does one see? The divine figure of the Lord, in which the abundance of the invisible world breaks through. St. John says: “The Word was made flesh, and dwelt among us. And we saw His glory — glory as of the only-begotten of the Father — full of grace and truth” (John 1:14). What is to take place, then, is the revelation of Truth through God and the acceptance of that sacred truth by men. Then the concept shifts. Again He says, “I am the bread of life.” But He adds, “I am the living bread that has come down from heaven. If anyone eat of this bread he shall live forever; and the bread that I will give is my flesh for the life of the world” (John 6:51-52). This is so novel and unheard of that scandal sets in. Hasn’t He Himself insisted again and again that “the bread” is His living flesh, that the eating is a true eating? Only the manner of that eating and drinking (namely, in the spirit) remains mysteriously veiled. “It is the spirit that gives life; the flesh profits nothing” (John 6:63). Christ has given His hearers the clue, but they refuse it. The coherence of the speech as a whole is immeasurably important. Christ’s memorial is an act of genuine sharing in His vital existence; it is not meant to be “spiritualized” or volatilized, for it is genuine eating and drinking, although in all the dignity, breadth, power, and significance of truth. To participate in Holy Mass means to recognize Christ as the Logos, Creator, Redeemer. “As often as ye shall do these things, ye shall do them in remembrance of me.” Remembrance here does not mean only: “Do this to commemorate me.” It means in addition: “While doing this, think of me, of my essence, my tidings, my destiny; all these are the Truth.” It is not by accident that the essential action of the Mass is preceded by the Epistle and Gospel, for each of the sacred texts is a clue to Christ’s identity, is some facet of His personality or truth, some event in His life that comes forward to be understood and accepted. Each is a ray of that Truth which will be present at the Consecration no longer in word but in His real existence. It is of primary importance that we see truth’s relation to the Mass. Piety is inclined to neglect truth. Not that it shuns it or shies away from it, but it is remarkable how readily piety slides off into fantasy, sentimentality, and exaggeration. Legends and devotional books offer only too frequent and devastating proof of this; unfortunately piety is inclined to lose itself in the subjective, to become musty, turgid, unspiritual. Divine reality is never any of these, never falsely spiritual in the sense of the vaporous, the insubstantial. Divine reality, which is another name for truth, remains as divinely substantial as the living Jesus who walked the earth. But it must be illuminated by the spirit, the Holy Spirit. Truth is essential to the fullness of the Mass. It is not enough to harp on the fact that the Mass is the center and content of the Christian’s life. 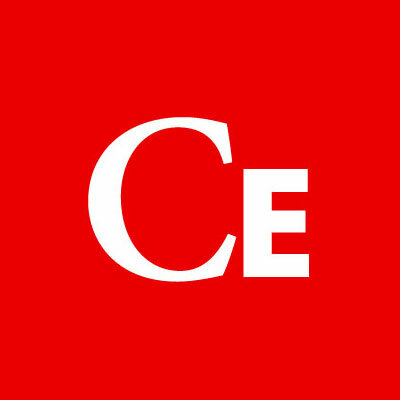 It must also be made clear how that center may be reached and that content shared. This is possible only when truth’s vital relation to the Eucharist is recognized and when truth permeates the entire act of the sacred celebration. Editor’s note: This article is adapted from a chapter in Fr. 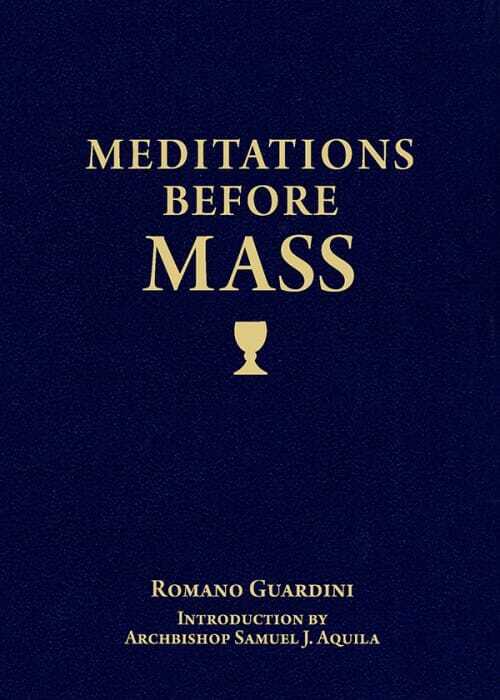 Guardini’s Meditations Before Mass, which is available from Sophia Institute Press.